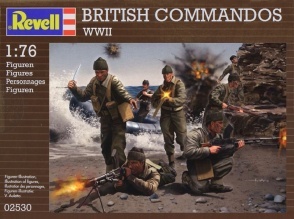 02530WWII British Commandos. 46 unpainted plastic figures. 19 different Poses. Material Plastic.